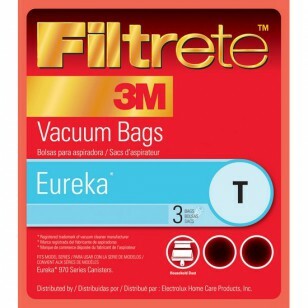 Fits Eureka 970 Series canister models that use Type T style vacuum cleaner bags. Equipped with 3M technology, 67713 Filtrete vacuum bags are designed to fit into Eureka 970 series canister models, and to capture more of the dirt and particles that can contribute to indoor air issues. Ideal for those that suffer from indoor allergies, these bags are most effective when replaced every 1 â€“ 2 months. A genuine OE part. 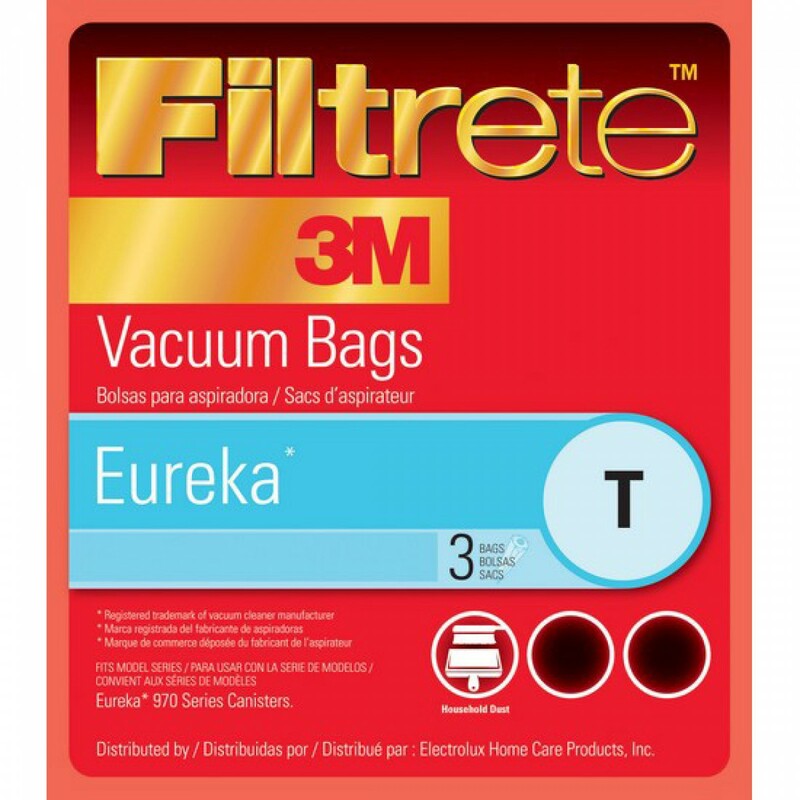 Order the 67713 3M Filtrete vacuum bags your Eureka canister needs by adding this three-pack to your cart today. Order by 4pm CST for same day shipping.